Sewage is greatest source of aquatic pollution & public health concern in urban areas of developing countries. Machdar, Y.Sekiguchi,H.Sumino,A.Ohashi,and H.Harada(1997).combination of a UASB reactor and a curtain type DHS reactor as a cost-effective sewage treatment system for developing countries.Wat.Sci.Tech vol 42 Nos 3-4 pp83-88 IWA publishing 2000. R.A.Barbosa and G.L.Sant’Anna Jr(1989).Treatment Of Domestic Sewage In An UASB Reactor.Wat . Res. Vol.23 , No. 12 pp 1483-1490,1989. G.Lettinga, R.Roersma, and P.Grin, (1983)Anaerobic Treatment of Raw Domestic Sewage At Ambient Temperature Using Agranular Bed UASB reactor.Biotechnology and Bioengineering , vol XXV,pp1701-1723,1983. 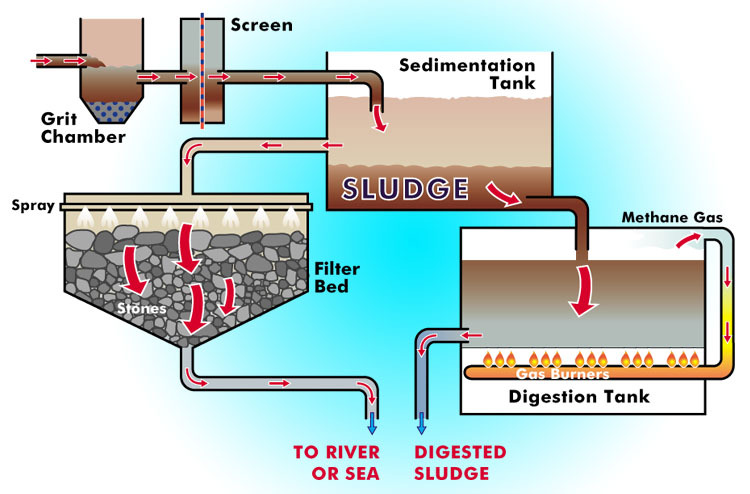 S.M.M.Vieira and A.D. Garcia Jr.(1992) Sewage Treatment By UASB Reactor ,operation results and recommendation for design and utilization ,Wat.Sci..Tech. Vol.25 No.7 pp.143-157,1992. Sonia M.M. Vieira (1988)Anaerobic Treatment of Domestic Sewage in Brazil – Reaserch Results And Full – scale Experience ,Anaerobic Digestion vol.14 1988. Lalit k . Agarwal , * Hideki Harda and Hiroyuki Okui (1997) Treatment of dilute wastewater in a UASB reactor at a Moderate Temperature : Performance Aspects,Journal of Fermentation and Bioengineering vol.83 ,No. 2 , 179-184.1997. 1.1 Sewage is greatest source of aquatic pollution & public health concern in urban areas of developing countries.